Could the leading cause of death in America be prevented by a beverage? 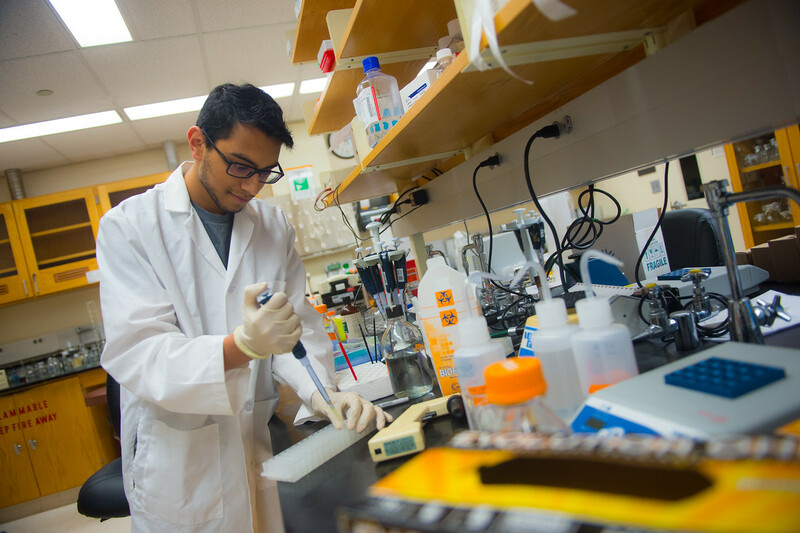 It's a theory Indiana State University student researchers are experimenting with as they attempt to battle cardiovascular disease with a drink that replaces what the condition takes away. 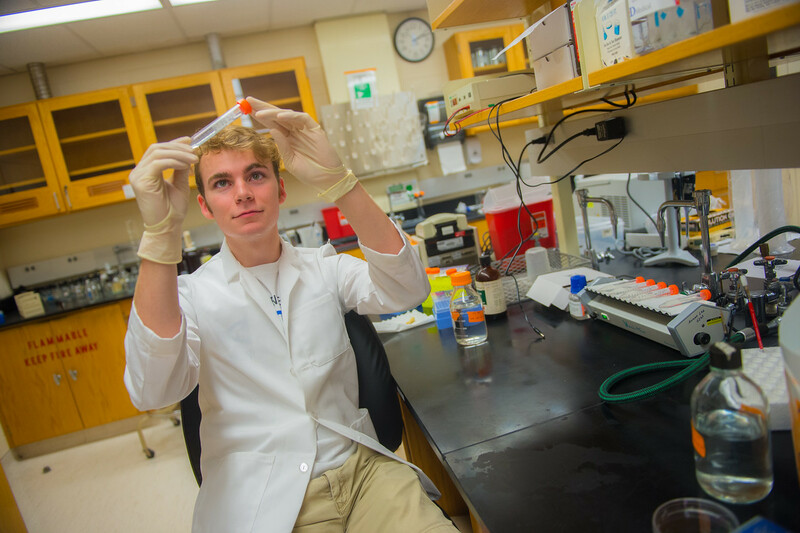 Undergraduate student researchers Caleb Harrison, an athletic training major from Clinton, and Robert Pawlak, athletic training major from Crown Point, and Brycen Ratcliffe, biology major from Newburgh, participated in the Summer Undergraduate Research Experience (SURE). They worked with a pressed beetroot juice that could produce nitric oxide levels in the body to find out if the juice was effective in changing the body's nitric oxide levels. Cardiovascular disease is a type of heart disease that happens when there are narrow or blocked blood vessels in the body that connect to the heart, leading to blood clots and heart attacks. Part of this disease has been connected to the body's low levels of nitric oxide. Changes in the study's participants were measured not only with numerous tests, but also against a placebo drink to gauge the effectiveness of the beetroot juice. "The nitrates (in the beets) produce nitrate oxide when digested, which is what heals the cardiovascular system," Harrison said. During the summer, the students studied young, healthy adults between the ages of 18 and 35 with no history of heart disease. "The subjects couldn't have any hypertension or be prescribed medication of any kind," Harrison said. For the duration of the study, the subjects were asked to follow a diet that limited foods with high nitrate levels, such as lettuce, spinach and beets. The tests conducted aimed to determine a number of factors, including the ratio of nitrates in the blood, pulse wave analysis and pulse wave velocity to determine a change in nitrate levels within the body. The body can also produce nitric oxide if metabolism increases, so resting metabolic rate was also measured. The day after the baseline tests, the adults consumed the beetroot beverage (or the placebo beverage), and two hours later, the same tests were conducted in the College of Health and Human Services' lab. After a week, the subjects switched drinks and underwent the same process. The study is ongoing, but SURE researchers have analyzed five of the participants' results. The resting metabolic rate, which would have confounded any results of the drink if changed, has shown to be consistent and unchanging in four of the five patients. The central blood pressure in four of the five subjects decreased, which indicates a higher level of nitric oxide the body. Four of the five patients have also experienced a decrease in pulse wave velocity or arterial stiffness, which can impact the functionality of the arteries and influence how hard the heart has to work to pump blood throughout the body. "Arterial stiffness measures arterial tension or plaque buildup in the body, and if it is decreased, it's a good thing for the elasticity of the arteries," Harrison said. By the conclusion of the study, it will have evaluated 30 patients' results. The study was supervised by faculty sponsor Alvaro Gurovich, an associate professor in applied medicine and rehabilitation. "The best part of the study so far has been working with my research partners and knowing that what I'm doing could eventually combat heart disease," Harrison said. "I could also apply it to my field, sports medicine. I could recommend the beetroot beverage as a nitrate supplement and prescribe it to any of my patients who are at risk of showing cardiovascular diseases." Undergraduates worked with a pressed beetroot juice to see if it could produce nitric oxide levels in the body and whether it was effective in changing the body's nitric oxide levels.